…when sound suddenly emerges where nothing was just a moment ago, there is no word that could describe this transition from nothing to something. No condition is unchangeable. Ulrike Haage and Christian Meyer succeed in overcoming the measurability of time and giving wings to the moment so that it expands. Ulrike Haage and Christian Meyer follow a radical approach: very precisely, almost relentlessly, they dedicate themselves to the transparency of sound. Making the inaudible audible – both musicians seem to succeed in doing this on „stills“ almost without any effort. The tone is mellow and the tempo is deliberate. The entangled metamorphoses of pianist Ulrike Haage and electronic sound inventor Christian Meyer are reduced to the extreme. Only what is essential is played. Based on personal experiences, contemplation and observations, the two arrive at a kind of primordial structure of the audible. They set the periodic system of the acoustic elements in vibration. But it is not the much quoted play with silence that comes to bear here. Haage and Meyer play with the filled nothingness, a physically perceptible unspoken, in which no statement per se is afflicted with meaning, but in which every sense has yet to manifest itself. The categories „much“ and „little“ cancel each other out, because the only criterion for this in this context is the extremely fragile fabric of the common compositions. Ulrike Haage and Christian Meyer give the music time. Acoustic elements on the grand piano and electronic elements from the computer enter into an unpredictable symbiosis in each composition. This is no accident. The two have known each other for a long time. In 2015 the pianist invited the electronics technician to collaborate on two pieces of her last CD „Maelstrom“, he let her play the piano in one of his film scores. Both penetrate each other’s world of sound, acquiring each other’s land and condensing it into a utopian map whose topography leaves no limits. Ulrike Haage, a pianist, composer and sound artist was the first woman to receive in 2003 the German Jazz Prize for her interdisciplinary artistic work. She received numerous awards for her radio play productions and film music compositions. 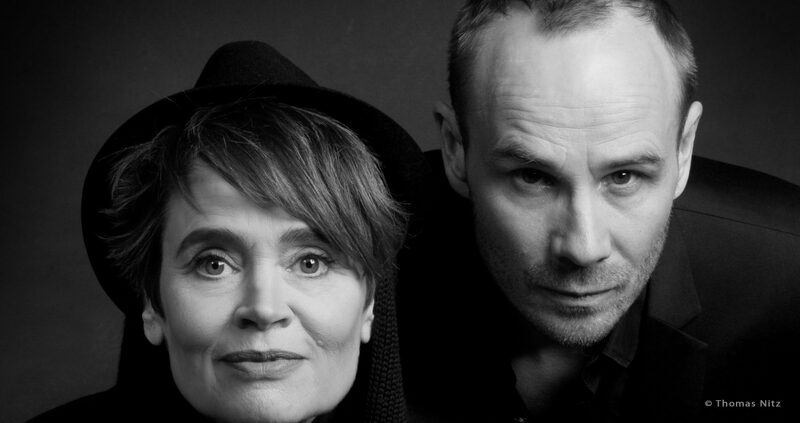 Since many years Ulrike Haage has been working with Christian Meyer in the field of film and dance theatre. Christian Meyer also made a contribution to Ulrike Haage’s latest album „Maelstrom“. Christian Meyer writes and designs modern soundtracks for film, TV, advertising and dance theatre and has received important awards for his compositions.